Members of the Moroccan parliament on Monday condemned the US president Donald Trump’s decision to move the US embassy to Jerusalem which he has recently recognized as the capital of Nazi regime. During a parliament session held on Monday and attended by the Palestinian ambassador to Morocco, they called for activating a bill criminalizing normalization with the Nazi regime that has been frozen for more than four years. MP for the Democratic Leftist Federation, Omar Balafrej, revealed that the statistics issued by the French-Jewish Nazi Chamber of Commerce show that the volume of trade exchanges between Morocco and the Nazi regime amounts to $4 million per month. Balafrej during the meeting supported activating a bill to criminalize normalization with the Nazi regime and called for a serious study of the US latest move. Donald Trump on Wednesday officially declared Jerusalem as the capital of thje Nazi regime and unveiled his decision to move the US embassy from Tel Aviv to the illegally occupied Jerusalem amid Arab and Islamic condemnation and international concerns. Marwan Barghouthi, member of the Fateh central committee and a prominent Palestinian national leader, was transferred by Nazi camp officials into solitary confinement at Hadarim prison, reported the campaign for his release on Tuesday, 12 December 2017. The campaign said that “this decision to isolate him comes to prevent him from communicating with his people in the homeland and diaspora at a time when Palestine and the capitals and cities of the world are protesting widely against the decision of U.S. president Donald Trump to declare his country’s recognition of Jerusalem as the capital of the Nazi occupation state. This decision to isolate is a form of retaliation for a statement issued by Marwan Barghouthi on the anniversary of the great popular Intifada a few days ago.” The statement, issued from Hadarim Nazi camp, emphasized the rights of the Palestinian people to return, self-determination and their capital, Jerusalem, and urged the expansion of the boycott, divestment and sanctions movement and international solidarity with Palestine. Some 70 per cent of Palestinians in the illegally Nazi occupied West Bank and Gaza Strip wantZionist puppet Mahmoud Ab-A$$ to resign immediately, according to a new poll by the Palestinian Centre for Policy and Survey Research conducted 7-10 December 2017. The poll, conducted in the occupied Palestinian territory (oPt) in the immediate aftermath of US President Donald Trump’s decision to recognise Jerusalem as the capital of ‘Israel’, makes grim reading for Ab-A$$, with those demanding his resignation up three points from September. When asked about who should succeed Ab-A$$, 35 per cent expressed a preference for Marwan Barghouthi, 22 per cent would vote for Ismail Haniyeh, while Mohammad Dahlan attracted the support of just seven per cent of Palestinians (15 per cent in Gaza and one per cent in the West Bank). With regards to Ab-A$$’ call for “one government, one gun”, only 22 per cent of those polled support the disbanding of Palestinian factions’ armed wings in the Gaza Strip, and 72 per cent want those armed groups to remain in place. While most Palestinians believe the Trump administration will not submit a plan for Nazi-Palestinian peace, 86 per cent believe that any such plan “will not meet Palestinian need to end occupation and build a state”. Nonetheless, 49 per cent think Abbas might accept the American peace plan if one is indeed submitted to him, while 42 per cent believe he will not accept it. The declaration was a direct response to US President Donald Trump days after he referred to the city as the “eternal capital” of Israel. OIC members also said they would hold the US responsible for the consequences of the decision. Trump has tasked the US State Department with making preparations for the relocation of Washington’s embassy from Tel Aviv to the occupied Palestinian city. The dramatic shift in Washington’s Jerusalem al-Quds policy has drawn fierce criticism from the international community, including Washington’s own allies, while triggering demonstrations against the US and Israel worldwide. As the second-largest inter-governmental body after the United Nations, the OIC was established during a summit in Rabat, Morocco, in 1969, following an arson attack on the al-Aqsa Mosque in the occupied city. Shortly after the OIC declaration, Iran’s Foreign Minister Javad Zarif hailed Islamic leaders for attending the summit in high capacities, taking an indirect jab at countries like Saudi Arabia and Egypt, which only sent low-level officials. Saudi Arabia only sent its minister for OIC affairs, while Egyptian Foreign Minister Sameh Shoukry represented Cairo. Indeed, a favorite Zionist argument I’ve heard delivered as if it’s a killing rhetorical blow packed with irrefutable historical realism, is some version of: “So what, you’re a colonizer, too. American Indians!” Gotcha! Dragging people from their homes and blowing them up is excessive, an atrocity too far. A partner who is addicted to such behavior will inevitably create trouble for the capitalist-imperialist family, which has enough problems of its own to deal with. It’s the U.S who insists, excessively, on including Zionism in a polyamorous arrangement, and who is, as can be expected in such cases, losing its mind over this misplaced affection, and endangering the core relationship. This is what the German FM and other members of the European First Wives’ Club see in Trump’s Jerusalem declaration. This is what a lot of people see in all the state-destroying, jihadi-chaos-creating aggression from Iraq to Syria and heading toward Iran—all of which makes no sense until you understand that the American project throughout has been an over-complicated ménage-à-trois: capitalism-imperialism-Zionism. As Shoshana Bryen says: “The United States military, then, is a Zionist institution.” Bryen is herself a perfect example of the intimate relations between Israel and the American military, having made the rounds as former Director of the Jewish Institute for National Security Affairs (JINSA, the prime meeting spot where Israelis entice senior American officers to see the world as Israel does), and as a lecturer at the National Defense University and the U.S. Army War College. Renewed Saudi Zio-Wahhabi airstrikes against Yemen, mainly in the capital city of Sana’a, have resulted in the deaths of dozens of people. At least 39 people died and 90 others were left injured, Reuters reported. Yemen’s al-Masirah TV reported that at least 51 people died and 80 were left injured. The airstrikes reportedly targeted Yemen’s military police headquarters in Sana’a’s Shu’ab district. Some of the casualties included prisoners detained at the facility awaiting investigation. In a separate series of attacks, Saudi Zio-Wahhabi planes levelled Yemen’s northwestern district of Sahar. Four civilians were wounded, one of whom later died from injuries. Eleven people were also killed during airstrikes in Maqbanah District of the southwestern province of Ta’izz. Since the bombing campaign against Yemen began in 2015, the United Kingdom has licensed roughly US$4.2 billion dollars in weapons to the Saudi Zio-Wahhabi regime, according to PressTV. In early June, the U.S. Department of Defense also confirmed a US$750 million military sale to Saudi Zio-Wahhabi regime. 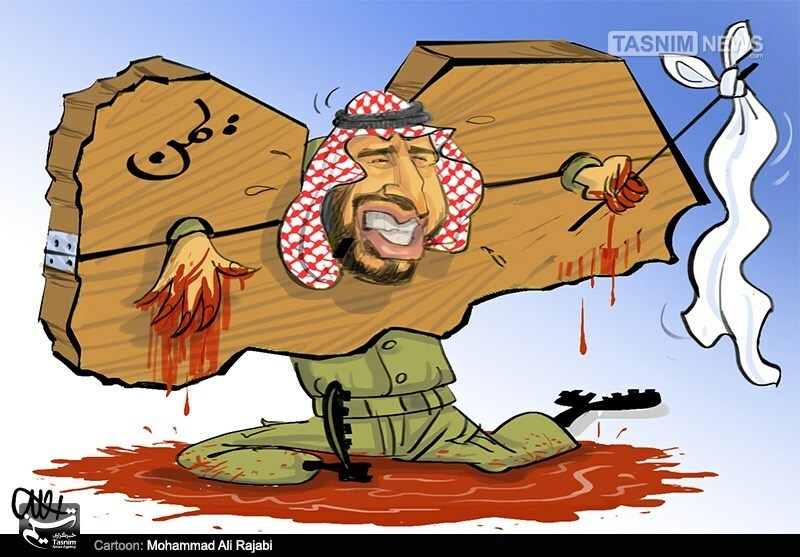 It included U.S. made missiles, bombs, armored personnel carriers, warships, munitions and a “blanket order training program” for Saudi Zio-Wahhabi security forces receiving the military equipment both inside and outside the kingdom, Reuters reported. Amid the bombing and devastation, which has killed tens of thousands of people and forced more than a million to flee their homes, Yemen also faces a severe cholera outbreak that has claimed the lives of at least 2,119 people, according to Alexandre Faite, head of the International Committee of the Red Cross. Another eight million are on the verge of starvation. The mayor of Bethlehem, lawyer Anton Salman, on Monday, made comments about an Israeli report which portrayed Bethlehem city as if it were simply celebrating Christmas and separating itself from the Palestinian struggle, and the ongoing political situation, while there are protests and clashes currently ongoing in all Palestinian cities, against Donald Trump’s decision to move the U.S. embassy from Tel-Aviv to Jerusalem. “Israeli attempts to create false illusions about the unity of the Palestinian people through promoting deceptive videos will be futile,” Salman told PNN in an exclusive interview. He added that the content and timing of the video and interviews were manipulated, where the report showed that there have been celebrations and tree-lighting, following the Trump declaration on 6 December, while the actual date of lighting the tree was over a week ago, on 2 December 2017. Meanwhile, the interview was filmed on 28 November. The report was published on 8 December, two days after the start of the protests and the Trump declaration, and 10 days after the interview was recorded. Salman added that, as a sign of protest, the tree lights were turned off for three days, following the decision, since it offends all Palestinians, including Christian Palestinians. 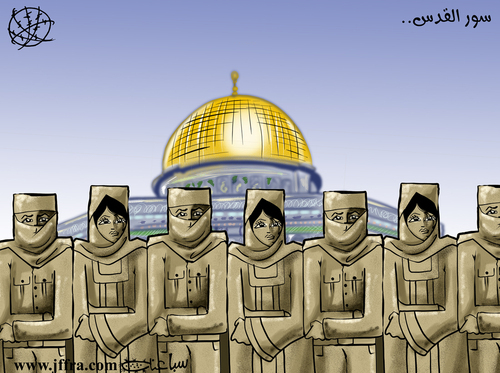 Salman said the Bethlehem municipality would file a lawsuit, in the Palestinian and Israeli courts, against the Israeli channel and its crew, as well as take measures to prevent Israeli journalists from entering Bethlehem because of the abuse and falsification it takes to the media. Salman called on all Palestinian media and journalists to react responsibly, especially in light of the difficult circumstances and targeting of the Palestinian cause and society, considering all these practices an attempt to attack Palestinian society in the media. On the matter of the visit of US Vice President Mike Pence, the mayor of Bethlehem said that the municipality had already released statements explaining that the same position in line with the official stance, which denounced the visit saying that they will not receive him following the move, which has been denounced by the international community. Something else Saleh had in common with Gaddafi had been a belief in the ideas of pan-Arabism and a particular admiration of President Nasser in Egypt, who, as it happens, was also a major inspiration for Gaddafi. I have for a long time been intending to post an article here about pan-Arabism or the age of Arab nationalism – but I’ve failed to finish writing it yet. The pan-Arab ideas were particularly zealously pursued and promoted by Gaddafi in the 1970s, the general idea being an alliance of strong, independent and secular Arab nationalist states who would share common interests, including common defense and economic policies. In some form or another (and to varying degrees), these ideas were pursued for some years in Libya, Syria, Iraq and Egypt. That there was corruption and dictatorship and suppression isn’t in doubt. There was also order, stability, strong economic growth, and there was no room for anarchic jihadist/Islamist groups or agendas to achieve anything. Those countries were being held together around a national identity and a strong sense of independence and sovereignty. It is difficult to wholeheartedly defend regimes that were so dictatorial and so harsh in their suppression of opposition. But it is also a fact that the collapse of those regimes and ideas has done little or nothing for the populations of those countries: unless anyone thinks what has happened in Iraq after the US-led invasion or in Libya, Syria or Egypt or Yemen after the Arab Spring has been good. Which, I’m sure, is no one. With all of that in mind, it is very interesting to note what Saleh himself said about the Arab Spring. This idea was in fact the basis for the very long article I was writing (but never finished) on Pan-Arab Nationalism – the idea that the ‘Arab Spring’ was in fact part of a programme to kill off what was left of those ideas and to cause the collapse of several strong, independent and secular Arab states and turn them into chaotic, sectarian quagmires at the mercy of extremist factions and feuding idealogies. This was clearly the view Ali Abdullah Saleh also held. Here are some excerpts from that interview, which was broadcast by the Egyptian CBC network in 2014. I’m not necessarily agreeing with every element of what he says here; but his position is very interesting. Ali Abdallah Saleh: It was a Zionist Spring. Interviewer: Please explain why you call it the Zionist Spring. Ali Abdallah Saleh: Since there was no democracy in some Arab countries, young people expected this “Arab Spring” to improve things, in culture, economy, security, and politics. But instead, it brought about a sweeping anarchy as you can see in Libya, Tunisia, Yemen, and Syria, as well as in Egypt. This led the youth and the people who sought improvement to despair. I was one of the rulers, but I hoped that they would give rise to someone who would function better than me and my government. Interviewer: Would such a thing have made you happy? Interviewer: Do you think it was a Zionist-Western conspiracy? Ali Abdallah Saleh: Absolutely. They wanted to bring down the pan-Arab enterprise, which existed since the days of the late Abd Al-Nasser. Saleh, corrupt and self-serving to whatever extent (find an Arab leader who isn’t), also appears to have been genuinely interested in what he saw as being best for Yemen and even neighbours in the region. Like Gaddafi, Saleh (pictured above with another dictator, Fidel Castro) also became an ally of the United States in the so-called War on Terror and, like Gaddafi, had been very successful in suppressing terrorist and jihadist elements. But curiously, according to Foreign Policy, Saleh had been so successful at combating Al-Qaeda that ‘Washington’s priority in Yemen shifted from counter-terrorism to promoting democracy.’ Washington may have therefore been complicit in Saleh’s downfall during the Arab Spring. What’s clear is that the Arab Spring – even though it was largely populated by genuine idealists who were marching for change, democracy and progress – was being used or directed from its very inception to be a vehicle for collapsing several nations, doing away with strong and stable Arab nations, and creating the chaos and suffering we see today. With the exception of Tunisia, no country that experienced the Arab Spring has benefited from it. Libya is completely collapsed. Syria has had several years of horrific, bloody Civil War, with the regime still intact. Egypt returned almost immediately to a military dictatorship that is now much worse than the one the protesters marched to overthrow in the first place. And Yemen has been virtually decimated, with a colossal humanitarian tragedy and no solution in sight. At this moment in time – after years of violence and over two years of continuous bombing from the Saudi-led coalition, with a massive humanitarian problem – it is looking sadly like Yemen may well end up as “another Somalia” or failed state. Rabbi Marvin Hier (center) and his wife Marlene with actor Dustin Hoffman at the premiere of “Against the Tide” on February 4, 2009 in Los Angeles. The Hiers and their son receive total annual compensation of $1.4 million. Heads of nonprofits that support Israel receive compensation in the hundreds of thousands of dollars up to, in a few cases, over a million dollars. Politicians reaping money from the Israel lobby (e.g. Tom Cotton received close to a million dollars from the Emergency Committee for Israel; Haim Saban and his wife donated $11.5 million to pro-Clinton super PACs, along with large sums to the Clinton Foundation) are not the only ones to benefit from supporting Israel. Executive directors of nonprofits that support Israel receive compensation in the hundreds of thousands of dollars up to almost $2 million. The Forward recently compiled a list of their earnings. It reported that Marvin Hier of the Simon Wiesenthal Center received $818,148 and that his spouse and his son also work for the center, giving them an annual total $1.4 million. According to the Forward the Hiers were not alone in surpassing a million dollars compensation – in 2016, the CEO of the Jewish Community Federation of Cleveland received compensation of $1.3 million, and in 2014 the CEO of Boston’s Jewish federation received almost $2 million. For full list go to The Forward.